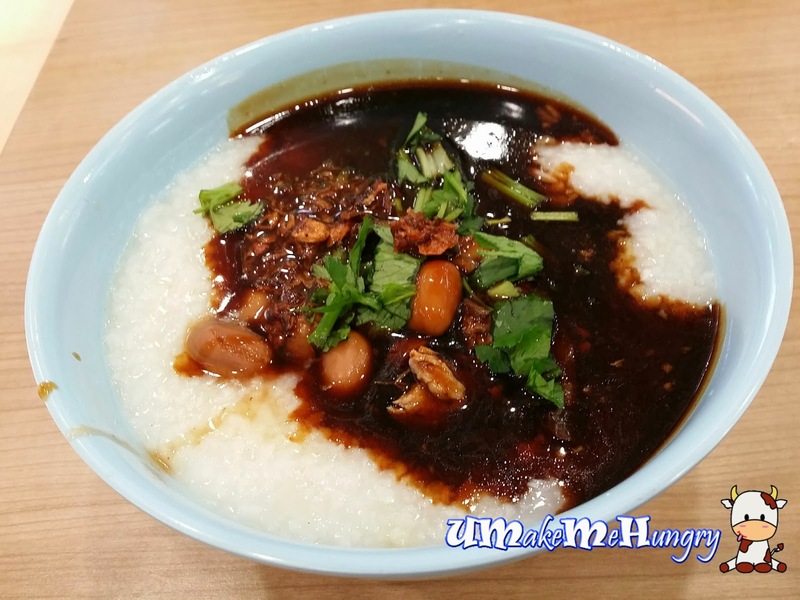 He Xing Ru Wei is located at a very prominent place of Happy Hawkers in Jurong East, just at the entrance of the coffee shop. The braised duck rice stall came to my attention as I saw a long queue line up along the counter of the stall over the weekends. Without much hesitation, i joined the queue for its porridge. While I was queuing, I noitced that they were selling Pig organ soup as well as braised pig trotters and meat. Ordering was make efficient with a guy going down the queue joting down the orders on his handbook and thereafter conveyed to the stall helper. Porridge was not too starchy and came with adequate amount of braised duck and few scoops of braised sauce pour on the top. Chopped parsley and fried onions were loaded w to enahanced its taste. Of so many braised duck porridge I had eaten, they are the only one that provided braised peanuts on top of the braised meat. For those who prefer to have a filling meal, you can try out their Duck Rice Set. 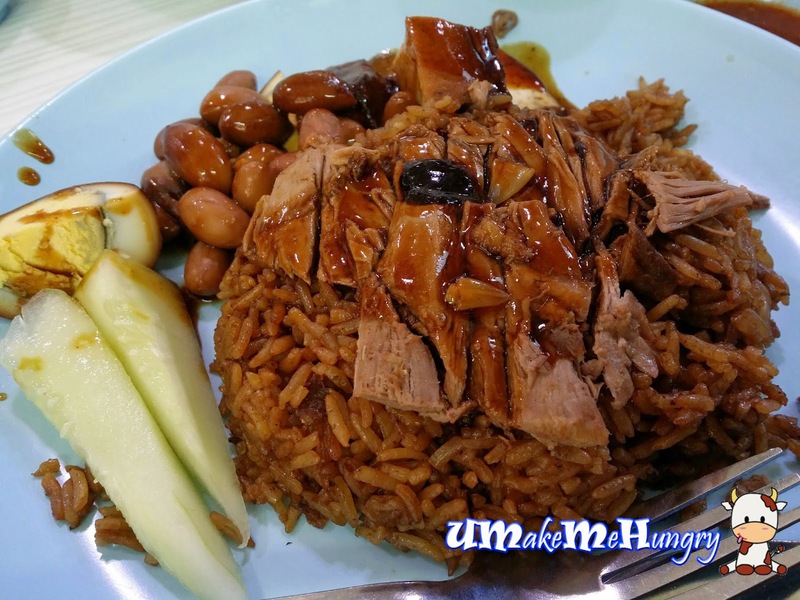 Simply love its yam rice in brown with braised peanuts, eggs, Tau Gua and meat. 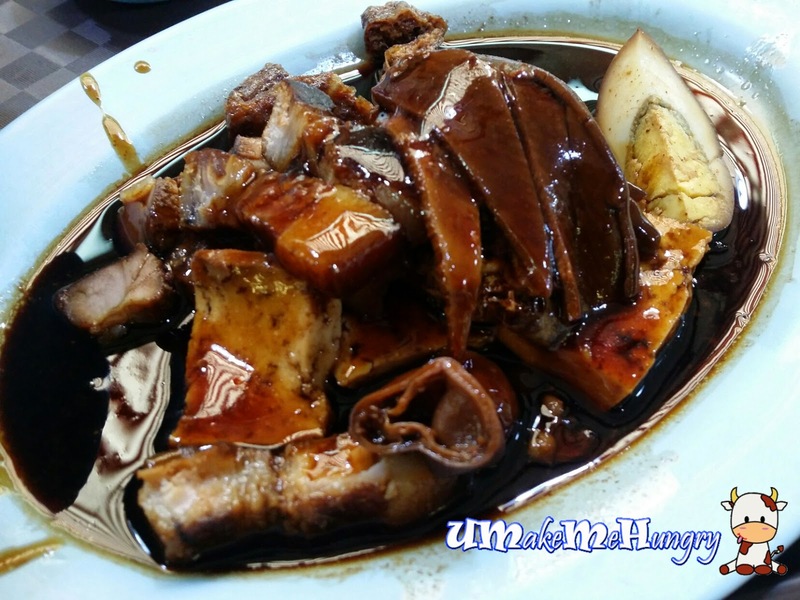 Though the taste were pretty average, the braised meat were pretty well done and one can actually taste the intensity of those braised flavors as we have a bite on the meat. 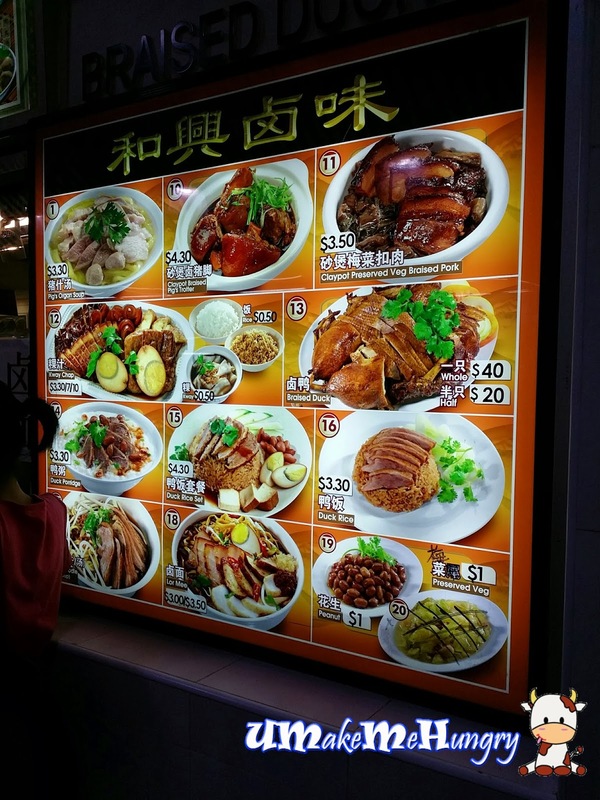 Like most of the braised duck stall, besides selling duck, they do offer Kway Chap. Braised items were not very oily and was real tasty. So far He Xing Ru Wei is one of the better choices for Braised Meat Items and Kway Chap in Jurong East Area. Just look at the queues they had, that wont lie about everyone's likings in such delicacies.